Although we haven’t had the opportunity to delve into all the outdoor subs on the market we can pretty much assure you that there’s significant differences between the Terra AC.SUB and most others. For one thing, lots of the outdoor subs we’ve seen use a bandpass design with a tube extending above ground to “let the sound out.” These tubes are covered with a screen of some sort and then a rain cap to provide “all-weather protection.” Our 15 years of exclusively building all-climate speakers has led us to the inevitable conclusion that if you give her access of any kind, Mother Nature will find a way to get inside. And once moisture and/or little creatures get in, it’s just a matter of time till your subwoofer becomes a mute garden decoration. The same holds true for any type of vented/ported design as well. Moisture and living creatures are major issues. 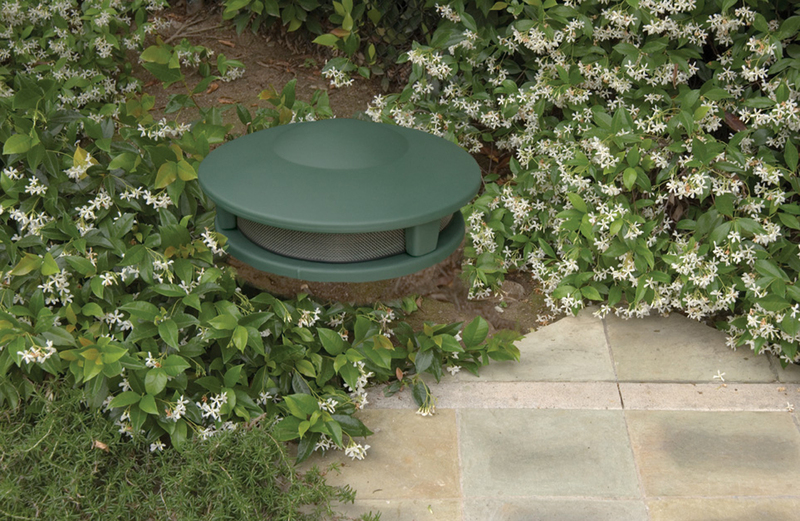 Recently, some outdoor speakers have taken to using an engineered cloth that allows air flow but restricts moisture passage. This lets them use a ported design outdoors because the port is, to some extent, protected. We do have concerns about this material and until it’s been proven to maintain its water stopping abilities over the long haul, we’ll stay away from it. 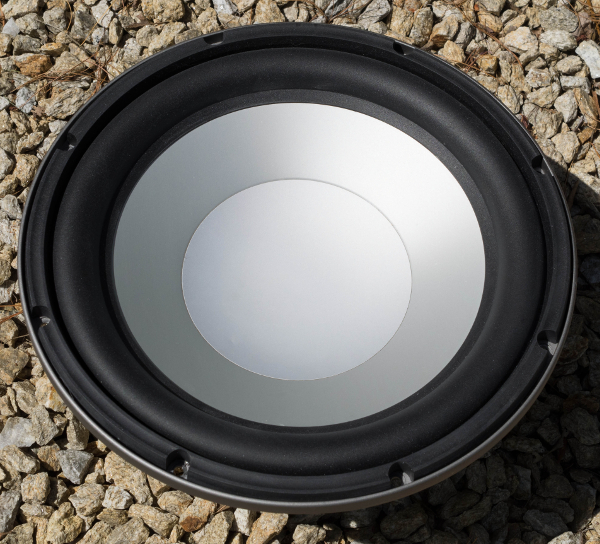 Another issue we’ve noticed is that some of these outdoor subs use 8-inch drivers. Now, we’re not saying you can’t get OK bass out of an 8-inch woofer. But trying to get enough low frequency pressure to have some kind of bass coverage in the Great Outdoor s using an 8-inch woofer is a substantial stretch, to be kind. The bottom line (pun intended) is that generating enough bass energy to cover a reasonable area outdoors requires significant bass drivers. Sure, you can make some bass outdoors with a 6 or 8-inch woofer but you’ve got to drive it really hard and you‘re not going to cover a very large area with it. We worked quite hard in designing the Terra AC.SUB. Here are some technical details explaining how and why it works so well. The AC.SUB is a totally sealed design. There’s no way for moisture or little critters to get in and do their worst. It’s designed to be buried 2/3s of the way in the ground and the polyethylene housing is totally impervious to both the elements and UV. The color s (black or green) are impregnated all the way through the material so if the sub gets hit with a weed whacker, for example, it’ll scar, but the color underneath is the same. The powerful 12-inch driver is mounted “face up” but at a 30 degree angle so water or small debris will simply fall out when the sub is operating. AC.SUB is an 8 Ohm passive (un-powered) subwoofer intended to be driven by an external amplifier, using an electronic crossover. Amplifiers like the Crown CDi series that we sell are ideal for this purpose. We recommend a crossover point between 80 and 110 Hz with 18 or 24 dB per octave slope s when it’s used with Terra satellite speakers. As a convenience, e very CDi amp we sell is pre-programmed for the AC.SUB and Terra satellite speakers by us here in Maine. The driver itself is a proprietary 12-inch cast frame unit with our ACAD™ ceramic-aluminum-ceramic sandwich cone. Impervious to the elements, this cone is extraordinarily stiff and strong (good traits for a woofer cone). It has a weatherproof half roll rubber alloy surround for extended travel and excellent cone motion control. 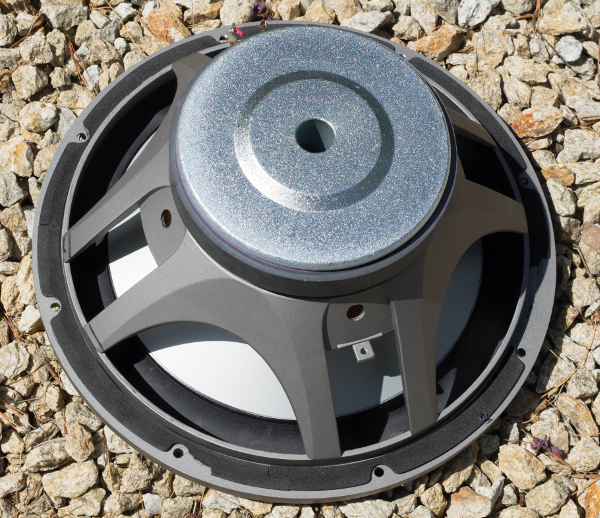 A 2-inch edge wound voice coil on an aluminum former is immersed within the massive magnetic motor structure which weighs almost 10 pounds. The motor is vented for enhanced cooling and high power handling. The back plate of the motor is “bumped out” to provide extra room for extended cone/voice coil travel. This is a serious, extremely high quality driver that would be at home in a top of the line home theater subwoofer. As you may be aware, different bass enclosure designs tend to have certain characteristic sonic signatures. Vented enclosures can often have a somewhat “lumpy” or boom-y, one note sound. Band pass designs can lack transient impact and “punch.” Properly designed sealed enclosures on t he other hand, tend to have excellent transient response with low distortion. The low frequency roll off characteristics of the various enclosure designs also vary. Sealed enclosures roll off at approximately 12 dB per octave below the resonant frequency of the system while ported/bandpass systems tend to roll off at 18 to 24 dB per octave below system resonance. So below system resonance, a sealed system will give you more output than either of the other designs. The primary trade off for sealed systems is efficiency; they need more power than vented or bandpass designs. Fortunately, amplifier power is easy and inexpensive to get today. Why are we telling you all this? Because we want you to understand there are differences in the quality of what goes into the systems you’re specifying for your clients. And the performance and durability of these systems are directly tied into their quality of design and construction.